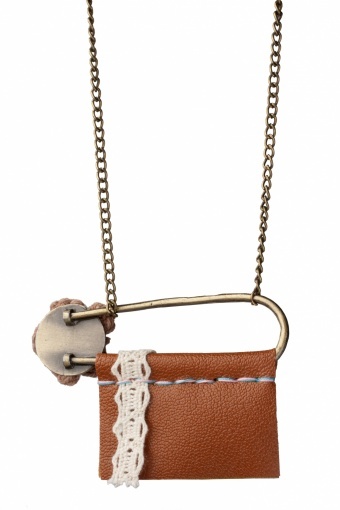 Leather & Lace Sweet Clasp-pin necklace. 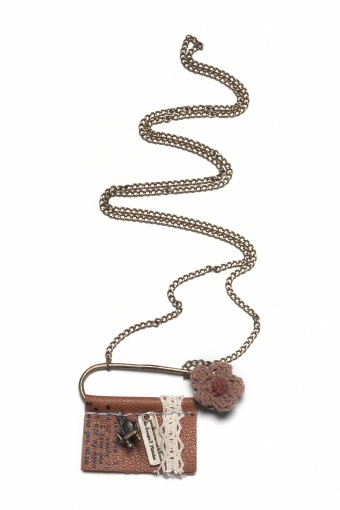 How cute this long necklace with a unique decorated clasp-pin pendant. 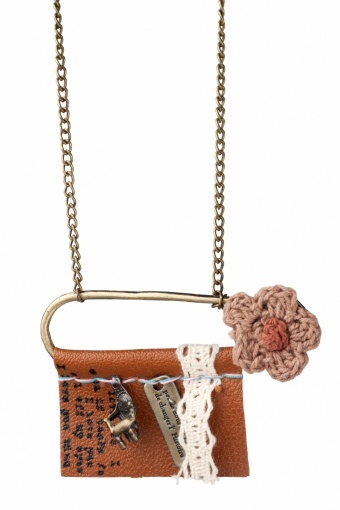 The crochet flower, faux-leather flap with antique-style typewriters font, lace and two classy charms. One of the charms contains the following beautiful phrase in French: "only a few amongst us have the power to change history"